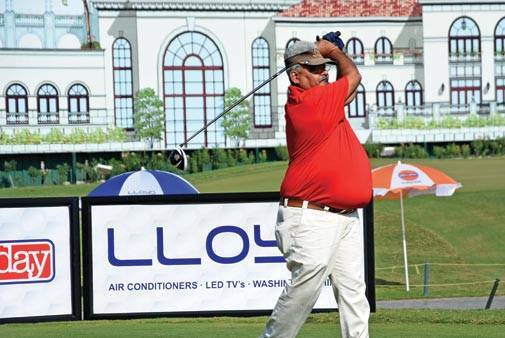 Ahmedabad, November 19, 2016 - 82 golfers teed off on a cool and windy morning at the Kalhaar Blues and Greens Golf Course for the LLOYD Business Today Pro-Am of Champions 2017. The idyllic course was envisaged to combine dramatic natural beauty with accommodations, warm hospitality, expert service and grand recreation. A world class championship course of 18 holes, 7425 yards, Par 72 layout is designed by 'Nicklaus Design' the leading golf course designing firm owned by the legendary golfer Jack Nicklaus. Almost 1.2 Million Cubic Meters of earth was moved to follow the design to maximize the undulations and to provide an illusion of playing down in the valley. It's a modern design and unique in terms of features and technology used. 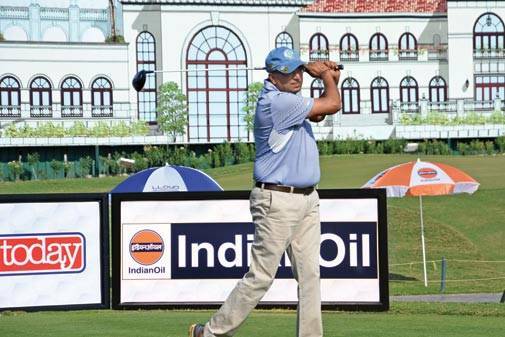 No wonder the course has been rated as Indias best golf course for the last 2 years! Played on the Stableford format with Double Peoria handicap system, the morning witnessed keen golfing action with players vying for both individual as well as team prizes. The day's action culminated with the prize distribution ceremony followed by lunch. The winning team comprising of Rajiv Tanna ( R Tanna & Associates), Vikas Sharma & Harsh Shah (Hitachi) with a combined score of 100 points, were crowned as the "Ahmedabad Arrows" and also earned themselves a place in the Pro-Am National finals to be held in Delhi in February 2017. The team comprising of Sumit Maloo (GCMPL ) ,Vishrut Pathak (PI Square Investments), V V Iyer & Mukesh Panchal (Kaveen Infra Solutions) finished Runners Up with 99 points. 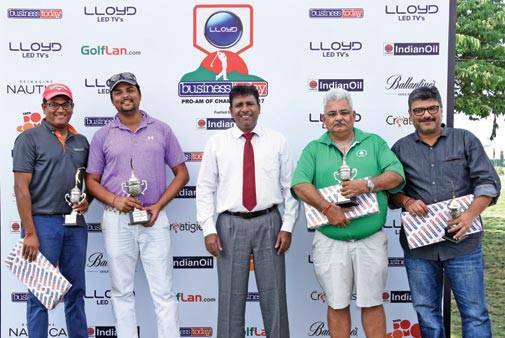 In the Individual prizes, V V Iyer was the winner with 35 points in the 15-24 handicap category and Devang Shah (Nanavati & Nanavati) won with 36 points in the 0- 14 handicap category. Jyotin Gor, Agropure International; Maulik Patel, Meghmani Finechem; Monesh Mashruwala, Lakshya Infrastructures; Parag Adukia, Lifestile Project Solution; Rajiv Vasa, V R Cotton; Rohan Bhandari, CE Logistics; Sachin Jain, Pavit Ceramics; Nirav Shah, Mantissa Infotech; Ravi Shah, Indusind Bank; Amit Shah, Global Tea (Assam) and Pranay Parikh, Sreenath Enterprise. 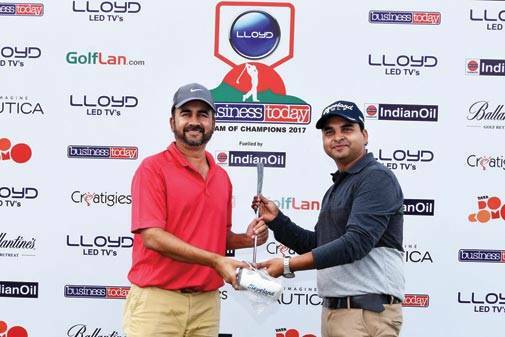 LLOYD Electric & Engineering the Co-title sponsor, Indian Oil, the Fuelled By sponsor, Tata Docomo- the Telecom Partner, Golflan.com - the Digital Partner, Nautica - Style Partner, Ballantine's - Partner & Creatigies - the Marketing Partner of the event.